My brother has always been hot-tempered with a tendency to take his frustrations out on the family, especially on my mother and myself. He and I have never gotten along because of his domineering personality, and we are just too different. My mother has been living with him and his family for the past 3 years, whilst I moved away from the family. My mother has been taking care of their home and his child since she was born. However, the situation between my brother and my mother has been progressively worse, with a lot of ill feelings from my brother towards her. To cut a long story shorter, my brother seems to have grown much more tolerant towards his wife (they used to fight a lot in the past year) and less so towards my mother in the recent 6 months. His wife, in my opinion, is selfish, self-centred and vicious in getting her own way. I feel that both she and my brother have been making use of my mother for the past few years, and now that the child is older, they don't really need her anymore plus my brother's wife quit her job a few months ago. Also due to some recent troubles that my brother had, I was threatened by his wife to make him see light otherwise she would take certain drastic measures against my brother. I did my part and helped resolve the issues, but my brother did not know this, and it ended up in a situation where his wife told him that she was the one who helped him resolve his serious problems, whilst he ended up blaming my mother and me for not supporting him. As a consequence, my brother has refused to have anything to do with me for the last 6 months, and harbours extremely strong ill will towards me and my mother. Now, my mother is not exactly a saint either to be honest. She is stubborn and quick-tempered and impatient. However, I know that she loves her children tremendously and would lay her life down for any of us. I have certain reasons to suspect that my brother's wife has been doing some sort of work at my brother so that he is turned against my mother and myself. I know for a fact that she feels that I have some influence over my brother and also that she envies certain material level that she does not have with my brother. My mother does not have support as the relationship between her and my father is not good. She can't/won't move out from my brother's home because of her strong emotional attachment to her grandaughter. However, I am very troubled by the way she is being treated by the couple and feeling helpless. I am not looking to break up the couple because of the 2 year child. However, I would certainly like my brother to see light and treat my mother much better and stop whatever his wife is doing to create all these troubles between us. Brother and Mother: Peaceful Home Candles. 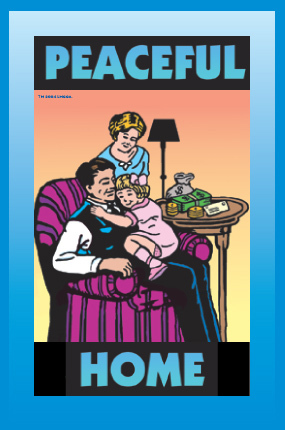 For pleasant, peaceful family relationships in a happy home. 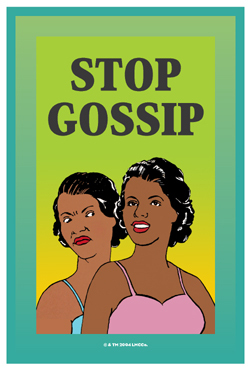 Your sister-in-law: Stop Gossip Candles. To shut the mouths of from back-biters and gossips in the family or on the job. If you are Catholic, add Holy Family candles. 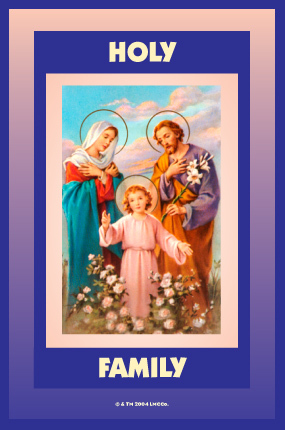 Jesus, Mary, and Joseph in a garden, the Holy Spirit dove between them. I always enjoy knowing that candles are prayed by members of MISC. It gives me confidence for the outcome, and I have exoerienced great results. Isn't there a candle specifivally prepared fot weight loss? What service can I order for this purpose instead? Something intense? rpir09, To my knowledge, Missionary Independent Spiritual Church does not have a weight loss 'specific' candle. However, read thorough this discussion about the 'well recommended' Lucky Mojo weight loss mojo (losing-weight-with-hoodoo--t11754.html). And you could call the shop and inquire. You can order one of the plain MISC candles for weight loss, rpir09...I would go with white. You can order a plain white altar candle and have them dress it to your needs. You will state this in the special instructions box along with your petition. The plain white candles can be ordered to serve and have the MISC dress something to your needs. rpir09 -- We have had a long tradition of folks burning a trio combination of Cast Off Evil, Blessing, and Healing candles for weight loss at MISC. The Cast Off Evil candle is directed at the excess poundage, which is taking over the body and ruining it -- commanding it to leave -- and also commanding a casting away of the mental habits that have lead to junk food addiction, midnight snaking, and the inattention to caloric intake. The Blessing candle is directed at the body systems that are carrying on and that need support. 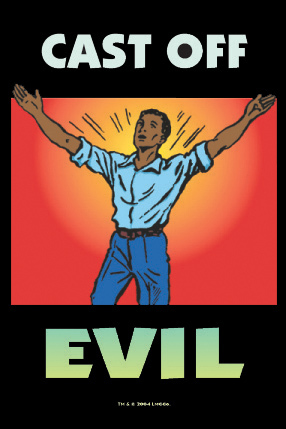 I rather like Cast Off Evil for weight-loss when the root cause is unhealthy habits. 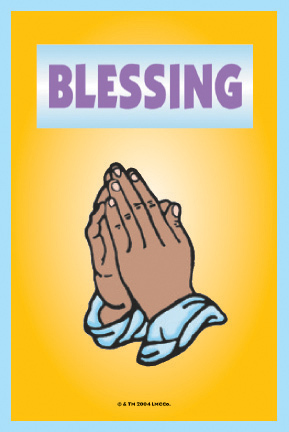 Blessing is good to help in starting any endeavor and works well with Healing candles. Mars is the ruler of athleticism and can work to give you the drive to exercise and find a lot of enjoyment in it, but depending on where Mars sits in your birth-chart you may not want to work with those energy's. I would like to have some candles set at MISC, but I am unsure which to request. Any advice would be appreciated. My father is undergoing treatment for cancer (surgery and chemotherapy) and also counseling for drug and alcohol addiction. I have been burning white candles at home and praying for his doctors to make good decisions, for successful treatment of the cancer, and for his body to recover swiftly from the injury caused by the surgery and medications. Secondly, that he will feel loved and supported throughout his counseling and have success in meeting his goals for better mental health. And also I have been praying that my mother will also have comfort and strength during this time as she supports him. My first thought was Healing Miracle, but are there any others that would work well in combination with it? I would suggest both Healing (for the surgery) and then Cast off Evil and Clarity (for the addictions). To bring comfort, healing, help, and rest to those who are sick. To rid yourself or those you love of bad habits and to break links to bad companions. 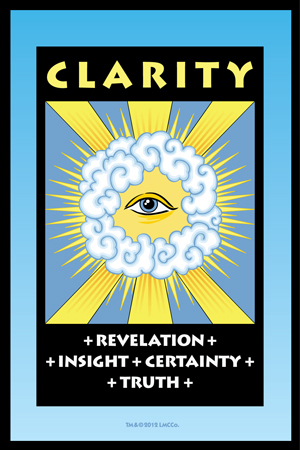 To put an end to confusion and unknowing; for insight and true vision. The spell, once set in motion, continues for a while. Depending on the difficulty of the situation, you may need a series of candles (a "run") to keep the work going until the outcome is as desired. You are asking for a spiritual consultation. Posting all of the reports that you were sent is not going to be of help, because none of the moderators here is a candle server at the church except for me -- and i am already doing readings for you -- so i have edited those out. The core of your question is: "Can anyone please tell me anything else I should try to make the road opener work so I can manifest my financial desires." I would suggest that we do a reading to see why the Road Opener candles keep coming up sooty, and to see if other forms of work (not candles) would be more beneficial in your case. I have a couple general questions about the candles, plus a specific one. If you want respect, then you are going to have to grow a spine and demand it. I would do a John the Conquer candle dressed with Crucible of Courage on it to give you some spine. Does the mean that one candle can be dressed with more than one product? In the previous example, would that mean that you would have a single candle dressed with both John the Conqueror and Crucible of Courage products? If so, how do I know when a thing calls for one candle with multiple products versus multiple candles? Also, when requesting the timing of lighting our candles, how specific can we get with these requests? For example, if I ordered a King Solomon Wisdom or Clarity candle, could I say "Please light on a Wednesday, during the hour of Mercury, while both hands on the clock are rising, and the moon is waxing and not void-of-course"? Or would that be overkill? I do like to get my timing optimal, but I also don't want to impose on the good people who do the candle services. As to my specific question, I am dealing with a "healing a broken heart" situation. A broken heart that had me bouncing back and forth between "miserable, depressed, whiny sack of s--t" and "angry enough to reach for the Goofer Dust". Not to mention feeling angry at/awful about myself - and generally sluggish and beat down. After considerable cleansing/clearing work, I feel like much of the negativity has been lifted off of me, and I want to invite in healing, comfort, restoration, and the like. To that end, I was thinking of getting a Healing candle to heal and restore my mind, body, heart, and spirit. I was thinking of, specifically, ordering a Healing candle and asking that it also be dressed with Reconciliation - in order to reconcile me with myself, if that makes any sense. Or, perhaps I should simply ask that violet leaf and balm of gilead buds be added along with the regular "healing herbs"? Thank you in advance for any feedback offered! EDIT: I got answers to these questions when I called the LM shop. Thanks! I recently had a Healing candle burned in Missionary Independent Spiritual Church for a relative undergoing major surgery. No complications, he doesn't need pain meds, and he's going home earlier than anyone anticipated. So yes, I would say that's a very good outcome. Thank you, MISC. That's great! The folks at MISC are such great spiritual workers. Great results! You may also (if you have not) post a prayer at the Crystal Silence League for your relative. Chagrinedgirl; so happy to hear this! We don't always find out how things turn out for our candle clients and it does my heart good to hear that things are going in a positive direction for your relative. I would like to set it for a family member, to help with their health and give them strength and personal healing enough to give up unhealthy habits, to calm them as well as stress and upset it not good for their health. I wasnt sure if it should be healing or blessing or another. Cast Off Evil candles are used to rid a person of bad habits. Healing candles are used to bring relief of sickness and mend both emotional and physical problems. Blessing candles are intended to bring spiritual uplift from divine sources. jwmcclin gave you some excellent advice! Anytime you want to clear away negative habits or bad influences a Cast Off Evil candle is a great place to start, and if the situation concerns health, then add a Healing candle, and if calling upon the divine for aid, add a Blessing candle. To help those in need; for blessings received; to ease sorrow and pain; for remembrance. I had a healing candle set at the altar of MISC as part of reconciliation work. Instead of just having the person I would like to reconcile with on the petition, I had both our names asking to both heal from past issues in order to be able to start anew. It's now been a little more than 2 weeks and I feel so much better, I don't think of the negative of the situation anymore. I didn't think I needed it because I know I love that person but now I know that I needed to heal too since I was pretty hurt by the whole situation. I don't know if I have posted in the correct place (apologies if not) but I think I may be looking for some healing candles of some description set. I have had several candles lit for me by the MISC over the last few months to help my work along and although I personally saw no signs etc I trusted in them and that they would back up my work as I do all of the fabulous LM products, and I felt that the readings that I had back always had very useful advice in them. This past week I had a few more candle reports and I have seen almost instant results. Firstly, The Dr Hernandez candle report stated that my surgery would go well, but as it needed to be relit, there may be obstacles until I'm fully recovered. The candle report came on Monday, my surgery was on Tuesday and went smoothly, last night came the obstacles in the form of several severe infections. I also had reconciliation and return to me candles and a break up candle lit. I had a visitor on the evening following my surgery who gave me news that completely agreed with the candle reports. Although I believed and trusted in the candles before, now I really have witnessed the power and reliability of the candles and staff who set the candles and perform the divination. Thank you. I would like to have some advice please as to what candles I should have lit now as I would like more candles set today. Firstly, for me to help my recovery both physically and mentally, secondly to help a friend who seems to be unwell as they are eating very little, losing too much weight and working all the hours God sends after having a very rough time in their personal life in many different ways so far this year (I currently burn 3 pale blue candles in a triangle with a petition and doll baby of the person in the middle, 1 candle dressed in cast off evil oil, 1 in clarity oil and 1 in blessing oil to help them) and finally a candle set to remove obstacles between me and the individual I have just mentioned, as I don't know whether to go for a road opener or a block buster. 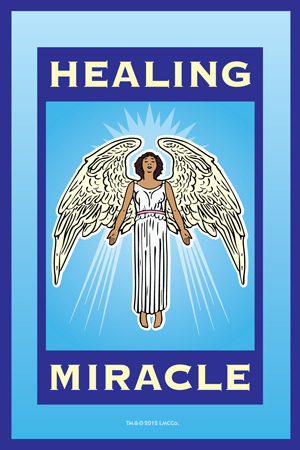 A combo of Blessing and Healing is a good choice for your own personal recovery efforts. For your friend, Blessing and Healing are also well advised. With regards to the choice between Road Opener and Blockbuster, it really depends on how stubborn the situation is and how long-standing. If you need a gentle nudge toward a new and better way to interact, Road Opener works; if there's a Berlin Wall between the two of you, then Blockbuster would be the way to go. You might also want to follow the one you choose with a Return to Me candle - often they're only considered in romantic work, but they can be quite useful to reconcile friendships as well. Thank you aura. I have taken your advice and placed my order for two healing candles to begin with (I may also get two blessing candles later in the week, but as I am off work, I'm not sure about my sick pay and whether I'll be able to afford them until I check, for now I'll keep using my LM Blessing oil on candles when I'm feeling up to my work. After re-reading the candle report that suggested some form of road opener may be needed, I decided upon the blockbuster. The report stated that there may be some "serious issues" delaying the reconciliation, so to me serious issues=Berlin wall. I am feeling very unwell at the moment and the fact that I can leave some of my work in the wonderfully capable hands of LM and MISC staff gives me confidence in knowing my work is having a helping hand and one less thing to worry about whilst recovering. One week ago I received tragic news. My husband came rushing in telling me his sister was stabbed in the back, she was in the ICU in San Jose. So of course we rush off to the hospital to see about her. Being that we both work for MS CAT and are students as well, all of our co workers and wonderful boss got to work. In a short time we had a blue 4" altar candle (emergency light) lit; for healing. That same evening we had a healing vigil candle (fixed, dressed and lit) then placed on the altar at work. The first few days our candle burned clear not dark and hazy. So as to be expected my sister in law got stronger. She worked hard at it. She was released from the hospital. Two days ago the candle finished its burn; it became dark and hazy some glitters and label burned. We got a call yesterday that she had been taken in for an emergency surgery and came through it ok and is now recovering. It seemed to be we were in the clear and the candle showed there would be change in that situation. So for us to do now is maintain faith and trust in the process and the work we do on our own. Oh, Madam Sol, i am so sorry to hear this. The candles sustain out prayers, but they also reveal the future. I had a similar situation with a friend who was in the hospital for surgery after a vehicular accident and the Healing candle was clear until suddenly it cracked, right at the left hand of the figure on the label, and wax poured gently out of the crack. She recovered except that her left hand did not recover full mobility; the candle showed us that this would be the case, and it came true. Blessing, Healing, bringing Clarity or inviting Peace may be done for oneself, ones family, for friends, or even for people unknown to one personally. 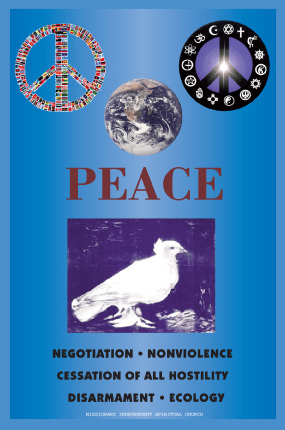 Harmony, negotiation, diplomacy -- no more war. World Peace is Nagasiva's favorite candle -- how could we forget!? I have lit a come to me spell candle to start some work to reconcile with someone. I needed to do some cleansing and healing also but I'm still waiting on those products. Would it be too much to ask the church to light a healing candle while I work my candle at the same time? Would it be some type of overload?